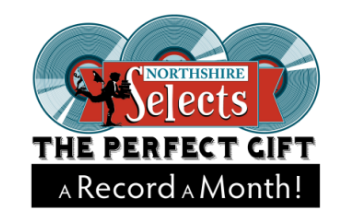 We have two options with our Selects program, A Book A Month, or A Record A Month. You let us know how long you would like us to send them out to the recipient, 6 months, a year, or even ongoing. Let us do the shopping & shipping for you! 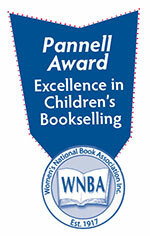 Each month Northshire Bookstore’s award-winning booksellers will select the perfect book based on the information you provide about the recipient’s reading habits, favorite authors, genre, hobbies and interests. You can even provide some dislikes, so we know what to avoid. Then we send it, beautifully wrapped, to your friend, loved one, or even yourself! Each month we select the perfect album based on the information you provide about the recipient’s favorite musicians, bands, and genre. You can even provide some dislikes, so we know what to avoid. Then we send it, beautifully wrapped, to your friend, loved one, or even yourself! Click on Sign Up Now and fill out the information. Give us the details about what the recipient likes, or even dislikes. Your credit card will be charged $0.01 to capture the cc number in our system. We will charge you monthly for the book/record picked plus $3.99 S&H (in USA). Books/Records shipped out of the USA will incur higher shipping charges (TBD). We'll keep track of the book/record being sent to avoid duplication. If your recipient would like to return a book/record, you can bring it into the store or mail it back for an exchange or store credit.